Entitled Children with Disabilities, the report examines the discrimination and deprivations that these children Children with Disabilities and their families confront. It describes the progress that is being made, albeit unevenly, in ensuring that children with disabilities have the fair access to services and opportunities that is their right. And it urges governments, their international partners, civil society, and employers to take concrete steps to advance the cause of inclusion – as a matter of equity and for the benefit of all. In order to achieve this goal, international agencies and donors and their national and local partners should include children with disabilities in the objectives, targets and monitoring indicators of all development programmes. Exclusion is often the consequence of invisibility. Few countries have reliable information on how many of their citizens are children with disabilities, what disabilities they have or how these disabilities affect their lives. As a result, few are capable of knowing what types and amounts of support these children and their families need – much less how best to respond. One of the report’s chapters is therefore devoted to exploring challenges, progress and opportunities in the area of data collection and analysis. The report also contains a series of personal essays by young people with disabilities and some of the people who work with children and adolescents with disabilities – among them, parents, caregivers and advocates. It is our hope that this report will inform the dialogue and nurture the action that is necessary to create a world in which children with disabilities enjoy their rights on a par with other children, even in the most remote settings and the most deprived circumstances. This entry was posted in Children with Disabilities, Global Disability, UNICEF and tagged Child Deaths, Global Health, HIV/Aids, International Disability NGO on May 30, 2013 by disabilityaidabroad. Two-year-old Abubarkar Al Hassan has the unfortunate tag of being Nigeria’s first polio victim of 2013. “It’s quite upsetting to see that my son cannot play with his friends when they come here,” says his father Usman Al Hassan, who lives on the outskirts of Nigeria’s capital, Abuja. As Mr Al Hassan strokes his son’s legs, some of his daughters sit around and one of his two wives prepares a meal in a tiny kitchen off the courtyard. “I have 14 children and 13 of them are vaccinated; it is very unfortunate that when the vaccinators came around this area they missed my house and my son was not vaccinated,” he says, looking at his son who is sitting on his lap. In the long winding alleys of this community, houses are packed close together. Open gutters like streams run like central veins carrying household waste water from homes. Passers-by leap over them to avoid the dirty greyish sludge. Nigeria has been making some strides in the battle against the polio, which can cause lifelong paralysis, but the task has been slow and fraught with challenges. The West African nation is only one of three countries where polio is endemic – Afghanistan and Pakistan being the other two. Last year, 122 cases of the virus were reported and the government is hoping to keep the numbers down this year. “We still continue to miss too many children. In a campaign where you aim to reach 32 million children house-to-house there are number of challenges,” says Melissa Corkum spokesperson for the UN children agency’s polio campaign in Nigeria. “In Nigeria there are a lot of nomadic populations on the move… there is no fixed address where you can knock on their door during the campaign,” she says. Together with the government of Nigeria, Unicef is running nationwide immunisation campaigns. Polio cases in Nigeria are mostly found in the mainly Muslim north of the country. In the past few months there have been violent attacks against health workers believed to be connected with polio vaccination drives. In the most recent attack nine female health workers killed in Kano state. It is possible that these attacks were the result of religious and political leaders who have opposed the vaccine, saying it is a Western plot to sterilise Nigerian Muslims. Suspicions about vaccination programmes were fuelled in part by the Pfizer scandal in 1996 when the US drugs firm used an experimental drug during a meningitis outbreak in Kano. Eleven children died and dozens became disabled as a result. In 2003, these fears and conspiracy theories led to the suspension of vaccination campaigns in Kano, leading to a high number of children contracting the disease. Then earlier this year, a Muslim cleric and two journalists from Kano were arrested for broadcasting a report saying the vaccines were not safe. Not all religious leaders are of this school of thought and some regret the harm caused by their colleagues. “The problem was caused by those who were preaching against it,” says Alhaji Attahiru Ahmad, the Emir of Anka in the northern-western state of Zamfara. He blames the slow response by the government to the statements. “They allowed them to have a field day before the intervention, and you know it’s difficult to repair damage,” the emir said. He and other traditional rulers in the area have been trying to counter criticism of the vaccine. During the last polio campaign in this area, a father refused to have his child immunised. He was brought to the emir who convinced him to immunise his child. However the talk of polio remains a very sensitive subject and many in these communities shy away from talking about refusing immunisation. But the Nigerian government says they are making strides in reducing suspicion among vulnerable communities. “People are becoming more aware and are realising that in fact the vaccine is safe, it’s efficacious, and that other parts of the world have actually used it to eradicate this disease,” says Dr Ali Pate, Nigeria’s junior minister of health who also heads the presidential campaign against polio. Part of the government campaign has involved community mobilisation workers who talk to people about the benefits of the vaccine. In the case of Abubarkar, his contracting polio has had a positive effect on his neighbours. “People are aware, now they know that the disease is real,” says Yakubu Yahaya, a social mobilisation officer. He has in the past had difficulties convincing the people in that community that polio as a disease was a reality. “They were saying it is either politics or religion or because they want to make their children infertile,” he says. For Abubarkar and his father, the lesson learnt has been a harsh one. 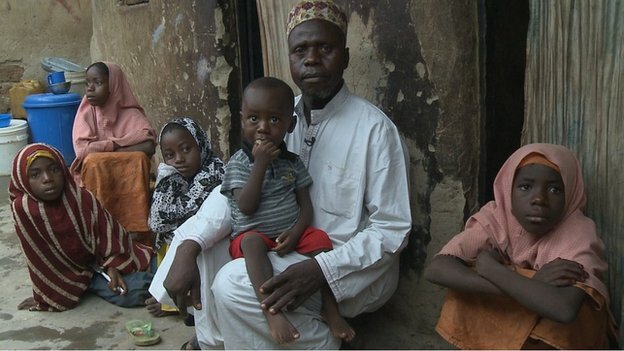 “I do not blame the vaccinators for missing my son, what has happened was God’s will,” says Mr Al Hassan. Those working on the government’s drive against polio, will also be hoping that lessons can be learnt and they can indeed make strides towards eradicating the disease by 2014. This entry was posted in Africa Healthcare, Child Health, Global Disability, Nigeria and tagged Bill & Malinda Gates Foundation, Child Deaths, International Disability NGO, Polio on April 26, 2013 by disabilityaidabroad. 8 April -As researchers consider who might benefit most from the next wave of tuberculosis (TB) vaccines, some argue that we’re not doing enough with the vaccine we already have. Dr Gwen Knight and colleagues used information like the number of new TB cases recorded annually, population projections, and TB mortality. Where available, they also factored in TB treatment and vaccine delivery costs. Finally, they created various scenarios based on projections of, for instance, how well a future vaccine might protect people from active TB, and how long this protection would last. Knight’s preliminary results were presented at the TB Vaccines Third Global Forum in Cape Town. They indicate that in most scenarios, TB vaccines given to teens and adults were about seven times cheaper than those administered to infants. The most cost-effective TB vaccine would be designed for adults and teens, and would confer 80 percent protection on recipients – a high level of protection compared to most vaccines today. The cost per Disability Adjusted Life Year (DALY) for a vaccine for adults and teens could be as little as 85 US cents, making it comparable to the lowest prices for the rotavirus and human papillomavirus (HPV) vaccines. Vaccines for older people were modelled as much more effective in reducing TB cases, with deaths occurring at an infection level largely determined by the transmission dynamics within the group. For example, a vaccine offering life-long protection against active TB would avert almost eight times as many new cases as a TB vaccine given to babies. In the absence of a TB vaccine, Knight and her team projected that as many as 19 million people would die from the disease between 2024 and 2050. The world relies on the Bacille Calmette-Guérin (BCG) TB vaccine, developed almost 100 years ago. Given at birth, BCG’s protective effect wanes as children grow to adulthood, but the vaccine has seldom been considered a candidate for global adult or teen vaccination programmes after poor results in trials. Now there are growing moves in the vaccine community to move away from approaches based solely on infant immunization and to begin developing policies on immunizing adolescents and adults. Adolescents may also be a prime target for re-vaccination with the BCG TB vaccine, according to Christopher Dye, director of health information in the Office of HIV/AIDS, Tuberculosis, Malaria and Neglected Tropical Diseases at WHO. Dye says the world could do more with the only available TB vaccine in its arsenal. Citing examples from the United Kingdom and Norway, he presented instances in which adult BCG vaccination campaigns in the 1950s and 1960s had not only shown the vaccine to be as much as 80 percent protective, but that it had also reduced new TB cases by 20 percent. “If those results were obtained today with a TB vaccine, they would be the subject of worldwide acclaim, and they form the basis of my claim that we don’t do enough with BCG,” he told IRIN. In their search for a cure-all for TB epidemics, policymakers at the time may have dismissed results too readily. “The interpretation was pretty pessimistic,” he said. “In my reading, this was a search for a panacea and when that was not the result obtained, the results were pushed aside.” Disappointing results from India and Malawi could be explained by the presence of other tropical bacterial infections that could reduce BCG’s effectiveness. Vaccinating teens and adults might also make sense in places like South Africa, where data collected in the Cape Town area in 2010 shows that people between the ages of 16 and 35 experience elevated risks of TB infection when compared to children and older adults. He said adolescent BCG vaccination could easily be added to existing campaigns in countries where girls and, in some instances, boys, are vaccinated against HPV before they become sexually active. Using mathematical models, Dye proposed that repeated mass vaccination campaigns to protect people as infants, and again as teens or young adults, could cut the annual number of new TB cases in South Africa by 50 percent over a 30-year period. In combination with improved case management and preventative TB therapy for people living with HIV, the models projected that revaccination with BCG could cut TB incidence by more than 90 percent by 2050. This entry was posted in Global Disability, Global Health, TB and tagged Bill & Malinda Gates Foundation, Disability Aid Abroad, Global Health, International Disability NGO, TB Vaccine, World Health Organization on April 8, 2013 by disabilityaidabroad. 5 April 2013 – For years, polio vaccination has faced strong resistance within conservative Islamic communities in northern Nigeria, largely due to a deep distrust of the West, persistent rumours that the vaccine is harmful, and the house-to-house approach taken by immunization campaigners, which many saw as intrusive. Over recent years, polio campaigners have changed their methods to try to win over reluctant community members and religious leaders – to mixed effect. In February of this year, 10 polio vaccinators were killed in the northern city of Kano by anti-western Boko Haram militants, the latest setback to efforts to eradicate the virus from Nigeria. The country is one of only three where polio is still endemic. In 2012, Nigeria recorded 122 cases – over half of the global total that year. Much of the long standing distrust of Western influence among northern Nigerians is linked to the British colonial occupation and its dealings with the Islamic caliphates that had ruled the north, explained Aminu Ahmed Tudun-Wada, head of the Kano State Polio Victims Trust Association. “The halt in house-to-house immunization is a serious threat to eradication… A large chunk of children will have no access to the vaccine and will be at risk of infection,” Adamu Isa, a paediatric nurse at Nassarawa Specialist Hospital in Kano said. This entry was posted in Global Disability, Nigeria, Polio and tagged Child Health, Disability Aid Abroad, International Disability NGO, Polio on April 5, 2013 by disabilityaidabroad.